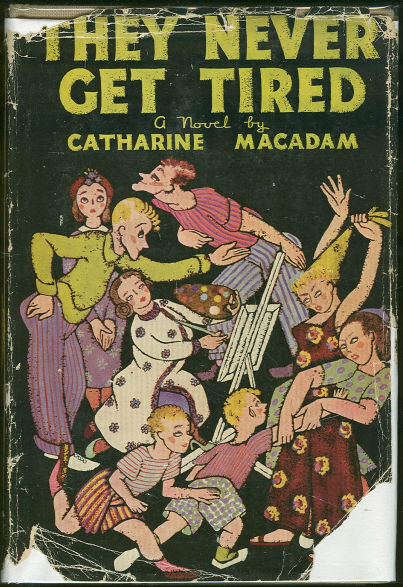 They Never Get Tired by Catherine MacAdam. New York. Frederick A. Stokes. 1937. First Edition. Hardcover. Very Good in Good dust jacket. DJ is worn and torn at edges. DJ is missing pieces at edges at bottom edge on front cover. 298 pages.